Hairdresser Hands In Latex Gloves Applying White Dye To Dark Female Hair With Brush In Hairdressing Salon. Close Up. 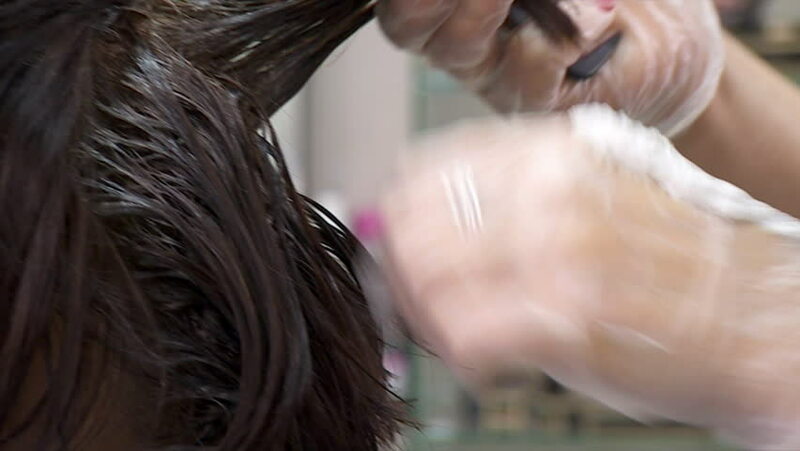 4k00:16Hairdresser cuts hairs with scissors on boy's head. Back view, stylist's hands close-up. 4k00:31Barber combs, sprays with water and cutting blond short boy's hair with scissors. Side view.